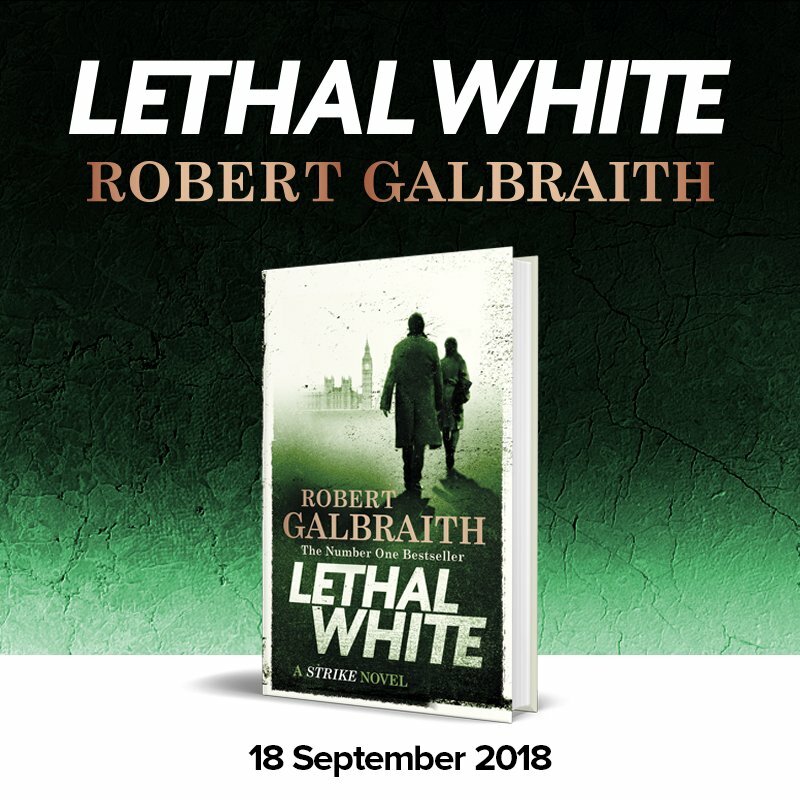 Cormoran Strike is set to return in Robert Galbraith’s next novel Lethal White. The fourth book in the series will be published on September 18th by Sphere Publishing, imprint of Little, Brown who also published J K Rowling’s The Casual Vacancy. Joan Smith described the novel as ‘a blistering piece of crime writing with a real moral purpose’ in her review for The Times, and praised its ‘length and complexity of Victorian fiction, not to mention a cast of grotesques worthy of Dickens’. The ongoing story of Cormoran Strike and Robin Ellacott sees a troubled young man called Billy seek their help to investigate a crime he believes to have witnessed as a child. Billy, who is mentally distressed, can only recover the vague details of the incident and although the story he tells is fragmented, Strike feels there is something sincere about him. Before anymore specifics can be probed from Billy, he bolds from Strike’s office in a panic. Keen to get to the bottom of Billy’s story, Strike and Ellacott – his former assistant, now partner in the agency – undertake a labyrinthine investigation that takes them on a trail through London’s dark backstreets, into a cryptic inner sanctum inside Parliament, and to an eerily beautiful manor house in the depths of the countryside. All the while, the duo struggle to understand the dynamic going on between them. The relationship is more fraught than ever now that Ellacott, an invaluable business partner, has turned out to be someone who tugs at Strike’s heartstrings more than he thought.